A forensic audit of a development corporation linked to the poverty-stricken Lubicon has revealed millions of dollars in unidentified spending and credit card transactions along with cheques containing a mystery signature. The audit, obtained by APTN National News, could not identify the recipients of $7 million worth of cheques issued by the Cree Development Corporation (CDC) between March 1, 2006, and Feb. 28, 2012. Calgary-based firm MNP conducted the audit on the CDC for the Lubicon Lake Band, whose territory sits in an area of northern Alberta rich in oil and gas. The audit reviewed $27.5 million worth of transactions over the time period. The MNP audit was based on bank statements, cheques and customer vendor confirmation. MNP said it was only aware of one Royal Bank of Canada account linked to CDC. The auditing firm reviewed 4,700 cheques and over 8,000 bank account transactions. The auditing firm was provided with “boxes” of records retained by the band council and it also gained access to CDC’s bank account information. Lubicon Lake Band Chief Billy Joe Laboucan requested the audit in 2013 following his election. The Lubicon’s former chief Bernard Ominayak has refused to acknowledge Laboucan’s authority and is currently heading the competing Lubicon Lake Nation as its chief. Ominayak’s Nation, however, still controls CDC. Laboucan’s council, however, is recognized by the federal Aboriginal Affairs department. Laboucan said he plans to hold a community meeting to discuss the audit’s findings Tuesday. Garrett Tomlinson, who often acts as a spokesperson for Ominayak’s Lubicon Lake Nation, said CDC is willing to open its books to any Lubicon citizen and the corporation has nothing to hide. Laboucan said the auditing firm contacted Ominayak at least three times but received no response. Tomlinson said CDC makes most of its money through contracting work with the oil and gas sector. “Which is high cost and low revenue,” he said. Tomlinson said the Lubicon people have benefited from the corporation and in 2007 CDC paid out $2 million in salaries. Tomlinson said he believes the audit is politically motivated. 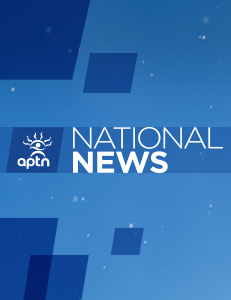 Tomlinson sent a statement from the Lubicon Lake Nation to APTN National News after he was provided with the audit. The statement said CDC funds were used “to support community initiatives, housing repairs, compassionate costs such as medical accommodations and funeral costs.” The statement said CDC was striving to make the Lubicon people independent of Aboriginal Affairs dollars. “We of the Lubicon Lake Nation are disheartened that the term ‘audit’ is now becoming synonymous with attacks by government and its willing partners against vocal and outspoken First Nations who stand up for their inherent and Indigenous rights and sovereignty in what is now Canada,” said the statement. Laboucan said it was mainly Ominayak’s friends and family who benefited from CDC. Laboucan said he plans to hold a community meeting to discuss the audit’s findings and next steps Tuesday. Lubicon Lake Band Chief Billy Joe Laboucan called for the audit in 2013. Ominayak was not made available for an interview. The audit does not suggest Ominayak or any of CDC’s directors broke any laws or acted unethically. CDC is a federally registered non-profit corporation created to benefit the Lubicon Lake citizen and is tied to the First Nation through its constitution. The MNP audit revealed $2.7 million “was paid” to five of CDC’s directors between 2006 and 2009. Ominayak received $1.5 million from CDC in 99 separate payments over that time period. In May 16, 2008, Ominayak received a $236,000 cheque. Margaret Whitehead, who is listed as the primary attorney or administrator in the Alberta corporate directory, received $844,000 spread over 363 payments in the same time period. “These payments occurred over a period of 693 days, representing an average of one cheque every two days,” said the audit. The audit discovered 4,713 instances where an “unknown” signature was used on a CDC cheque. It also discovered nearly 5,000 instances when the names of two people, who were not identified as directors of the corporation, appeared on one of the two signature lines on the cheques. CDC also paid out $17.5 million to 477 different parties, excluding identified directors, over the examined time period, the audit found. The payments were made to a mix of individuals, contractors, businesses and government. CDC paid $5.8 million to individuals. The firm could not identify $220,000 worth of transactions. The audit traced $1.03 million in credit card payments to 12 different credit cards, but could not find any names linked to the cards or what purpose the cards served. “MNP was not provided with any information with respect to what policies or controls governed the use of these credit cards, nor was any information provided with respect to the purchases made in the credit cards,” said the audit. MNP said it needs to interview current and former CDC directors, examine the corporation’s deposit book, review CDC’s accounting records “if they exist” and its operational and business records to get a clearer view of the financial situation. About 500 Lubicon Lake citizens live in the hamlet of Little Buffalo and of 125 homes only 25 have running water. The Lubicon, who never signed a treaty, have no reserve lands. The current band council has re-initiated land claims talks with Ottawa which stalled in 2002-2003. In the 1990s, the plight of Lubicon, which was led by Ominayak at the time, rose to international prominence. The UN Human Rights Committee ruled in 1990 that Canada violated the rights of the Lubicon Cree. Over the past 30 years, the Alberta government licensed about 2,600 oil and gas wells across the Lubicon’s claimed territory, according to Amnesty International. There are 2,400 kilometres of oil and gas pipelines crisscrossing Lubicon territory, the human rights organization said. Internal divisions within the Lubicon, however, have undercut the community’s battle to assert control of its territory. It was during a previous internal split among Ominayak’s supporters when the boxes containing CDC documents surfaced.